I've mentioned on here before that I'm not the biggest fan of the Myanmar food but here is the thing - the food changes by region (which is good news for me). 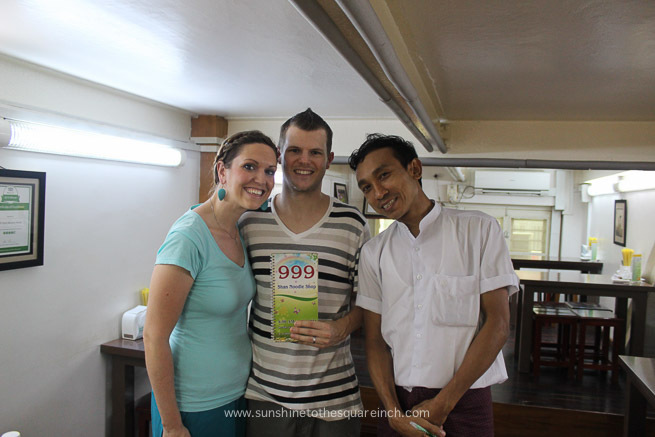 The food in Yangon is mainly curries and I don't care for them much but the food up by Inle Lake? I LOVE IT! 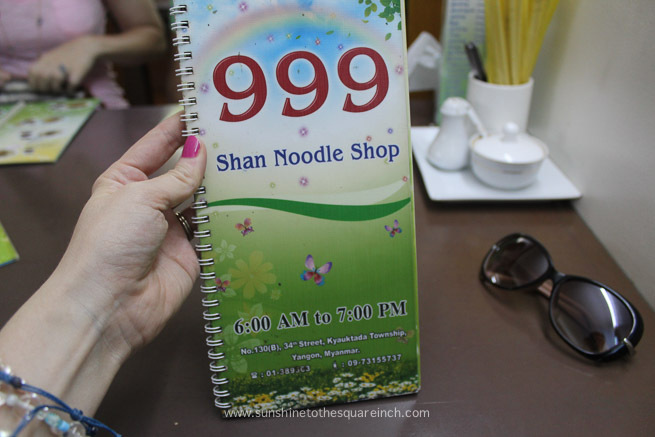 Their most famous dish is called "Shan noodles". 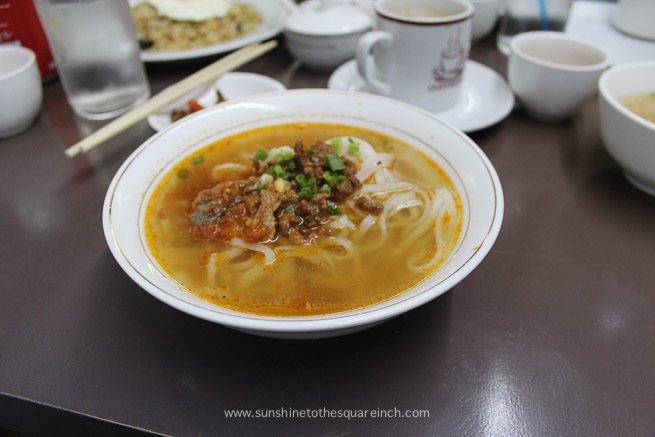 It's bowl of noodles and not just any noodles; they are so good! I honestly don't know what makes them so good but they just are. Maybe it is the taste or maybe it is the fact that a big bowl of noodles only costs around $1 but either way it is a win win. 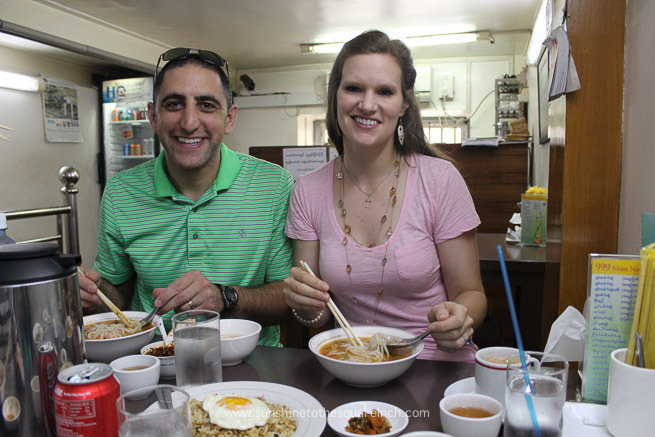 Lucky for Dave and I there is a famous Shan noodle shop in downtown Yangon. 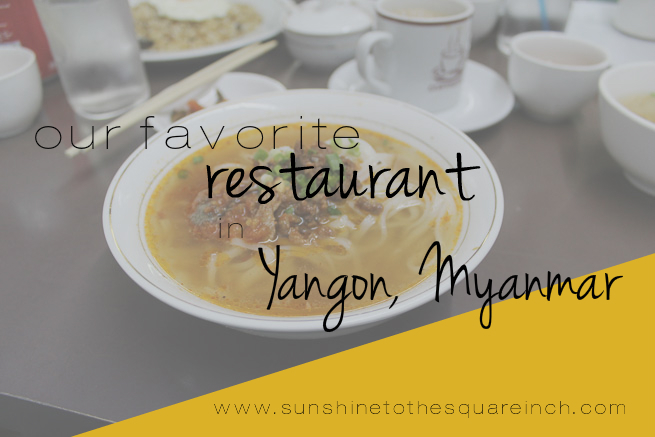 On Trip Advisor it is the 2nd highest rated restaurant in Yangon and it is also highly recommended in the Lonely Planet book. 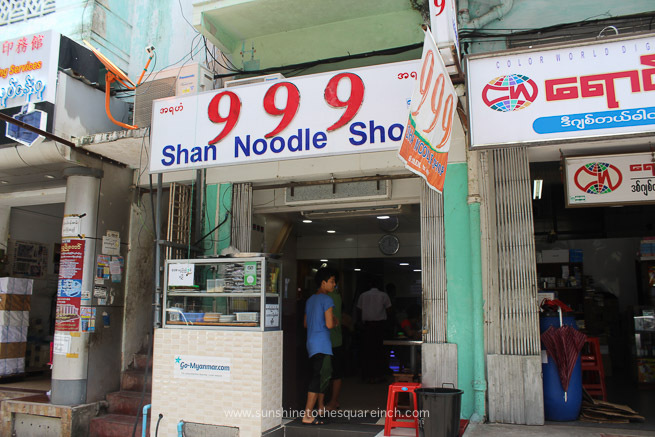 999 Shan Noodle is located down this street. I'd never in my lifetime guess that there was an amazing restaurant down this street. It's a small restaurant but they do have an upstairs seating area and the building has great AC. 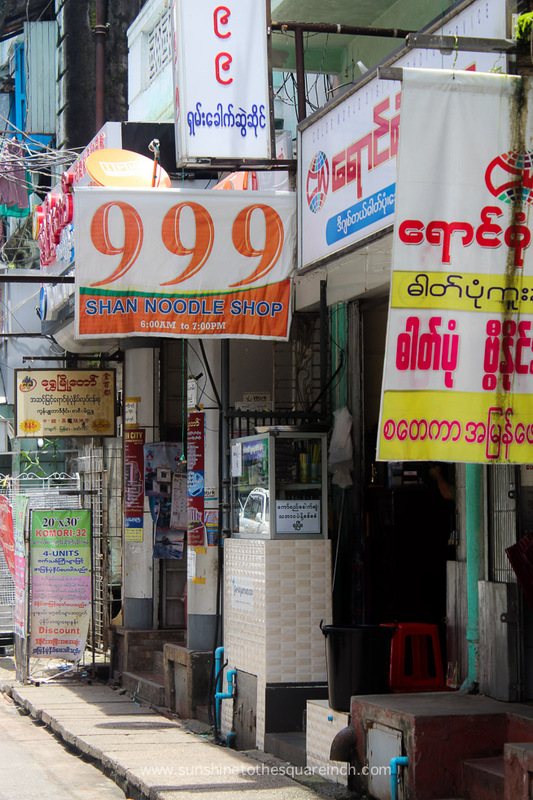 999 means 'lucky' in Myanmar. So I guess this could be called lucky noodle shop. 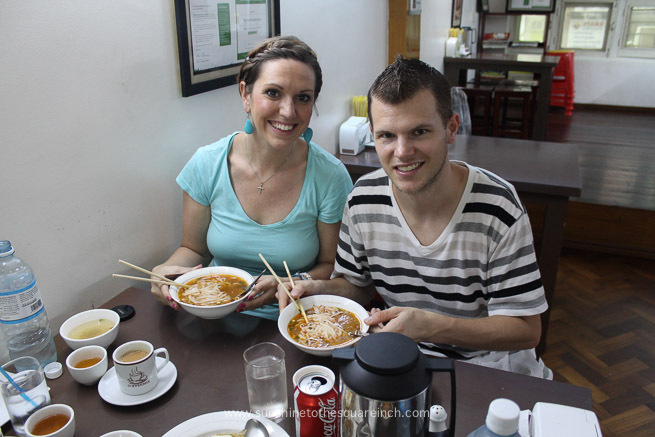 You can get different types of noodles but Dave and I always get the sticky Shan noodles; they are thicker and more filling. The noodles can come dry or in a soup and we always get the soup. 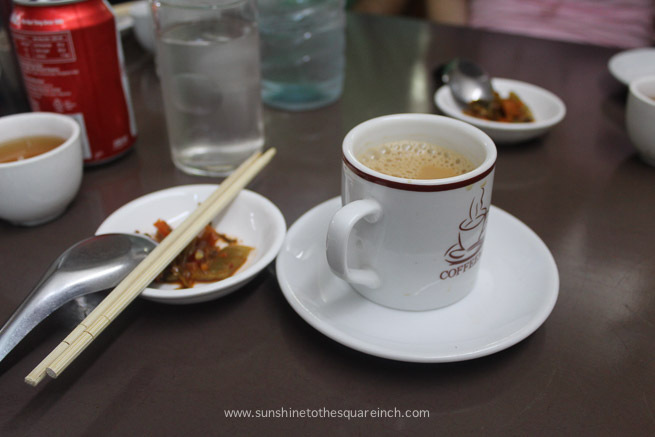 The broth is packed with flavor and the toppings consist of chicken or pork, green onion, minced peanuts and some tomato flavoring. 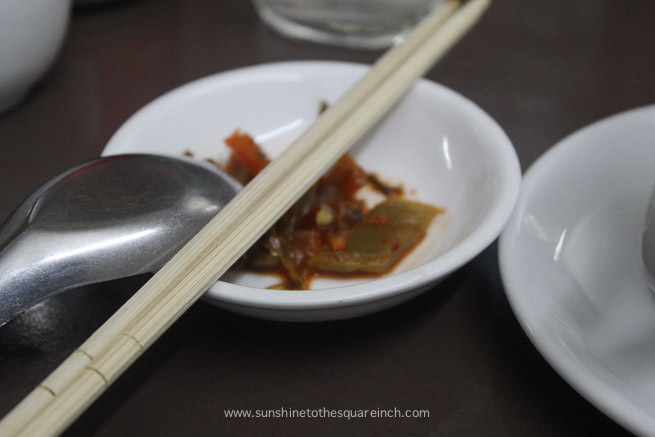 These are spicy pickled veggies that you can add to your soup if you want and there is always a small bowl of super spicy chiles on the table for you to add as much or as a little as you want to your soup. This waiter here is what makes the place awesome. He is friendly, will flip chopsticks for you and always makes sure your tea cup is full (unlimited tea comes with the meal). He has a fun sense of humor and him and his team really make the place fun. We have taken many of our guests here. We just went with Byron and Becky this past week and we will be going again next week with my parents. Last week all 4 of us ate for I think $11. That is what I call a good deal! I'm thankful for this fun little restaurant. 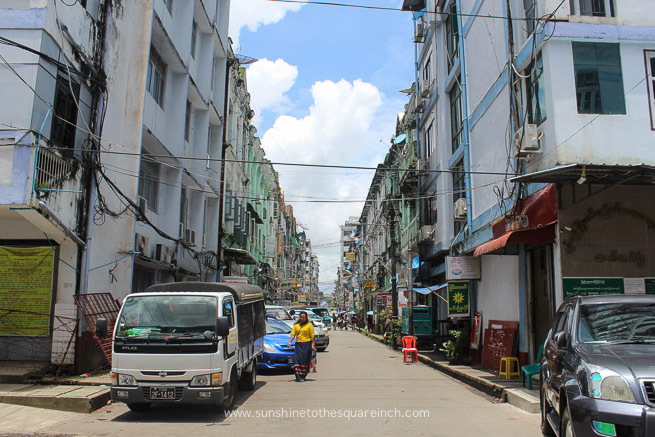 It's been a highlight for me and one of my favorite places to go in Yangon. What is your favorite restaurant where you live? What do you order there? Does anyone else love a big bowl of Asian noodles?